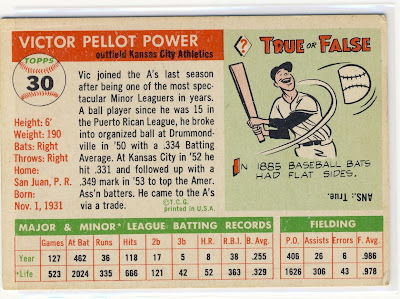 In my unofficial poll of baseball card blogs that I read, I don't think there is any non-all-time great player with a larger following than Vic Power. I put it down to his awesome name and the great smile he has on almost all his cards. To demonstrate my devotion to the Alter of Power, earlier this year I made Vic's 1958 Tops one of my All-Time Top 10 [In No Particular Order]. 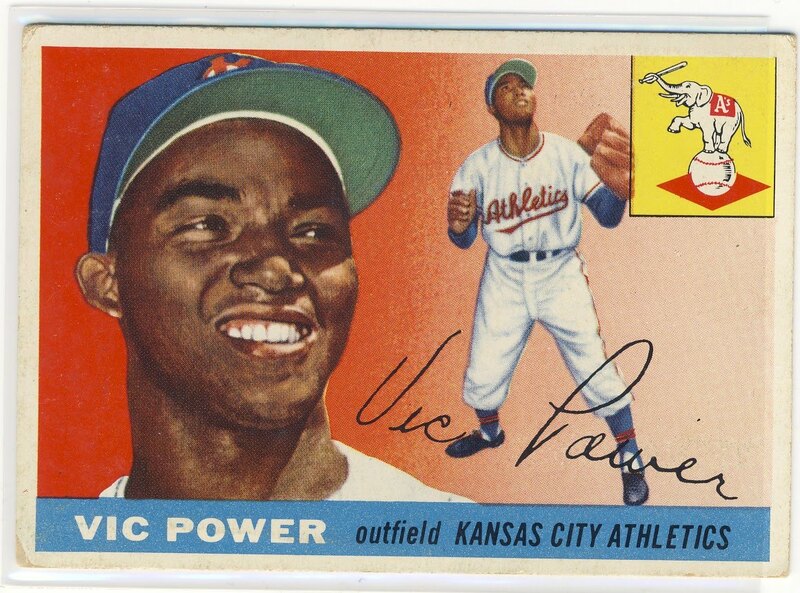 I've been slowly trying to collect all his cards and what makes it a little easier for me is that Vic played for the Kansas City Athletics so Power cards are all over my local card shows. 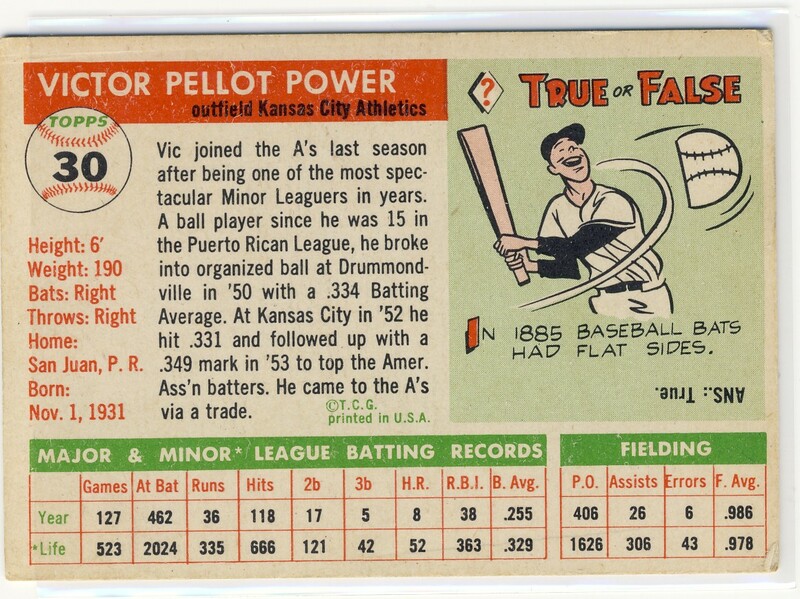 This beauty, my favorite vintage purchase from 2010, is from the 1955 Topps set and, as was the practice for a lot of Topps cards of the era, has the same photo as his '54 and '56 cards. Damn it, Matt! I'm supposed to stop adding guys to my player collection list, even if I had one in progress and forgot about it, and then you go and mention Vic Power! BYW... I would much rather have any Vic Power card than a Bip any day. Vic Power is a criminally underrated player. You got a very nice card there. Adam, I totally spaced through the Bip-ings...Althought we'll see if Bip has the staying power of Vic.